It was yet another Saturday, where temps rose into the nineties (felt like 95) in Northwest GA the first Saturday of October.. when will it begin to cool off ? 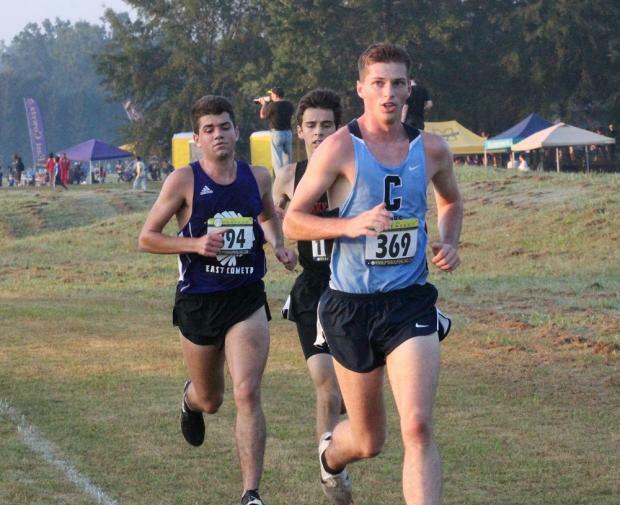 The racing was just as hot, as 41 MileSplit National 2nd team Elite performances were achieved, and more surprising were the boys had more than the girls for a change. A huge photo gallery has been posted earlier from the Varsity races, and race video is available for viewing thru the JV races as well. Jack Filan of Cambridge (369) won a hard fought race over East Coweta's Kyle Harkabus (94) in the Boys Championship race clocking a 15:11, leading the Bears also to a well deserved team win over talented 6A squad Lakeside Evans by 24 points. Harkabus turned in 15:15, not too shabby... Runners 2-5 for Cambridge made a difference, as they had a split of :27 Lakeside Evans was led once again by Sr Mark White who took 3rd overall in 15:25. Starr's Mill got the best of region rival McIntosh by 18 points placing 3rd. Elijah McCauley of Paideia is seen here leading the 1A-4A Boys race, in which he went on to take the victory posting a 16:55. 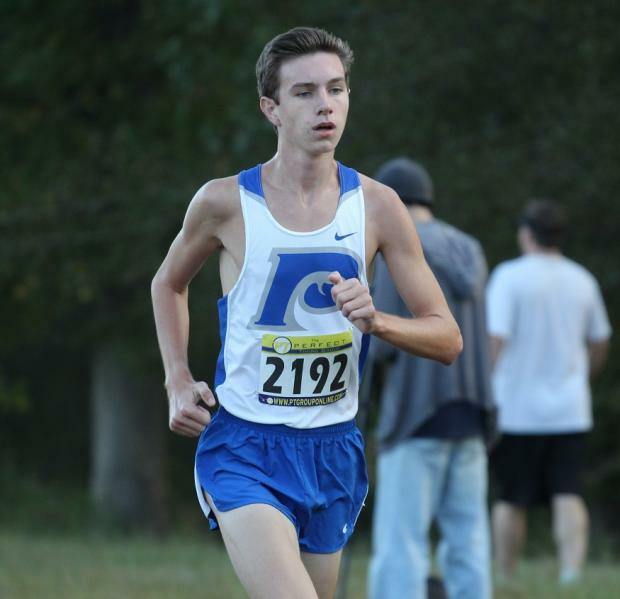 Alex Bowie led LaGrange (the Grangers) to the team win as he was overall runnerup in 17:04. 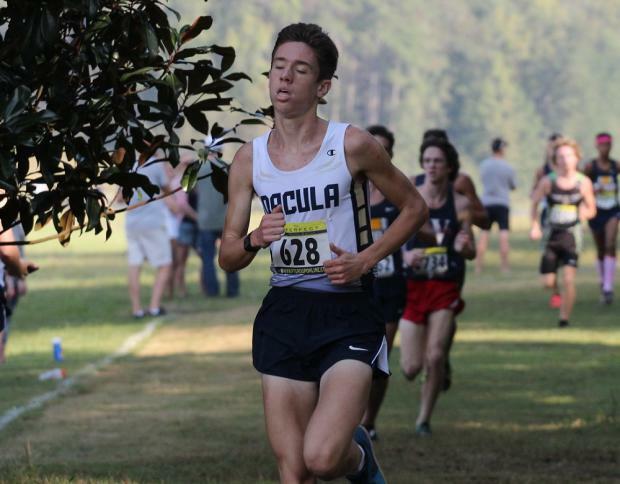 GISA school Augusta Prep continued to be impressive against GHSA schools taking 2nd team wise led by Jack Collier in 4th )17:17) Paideia had their best race of the season ending up in 3rd place. 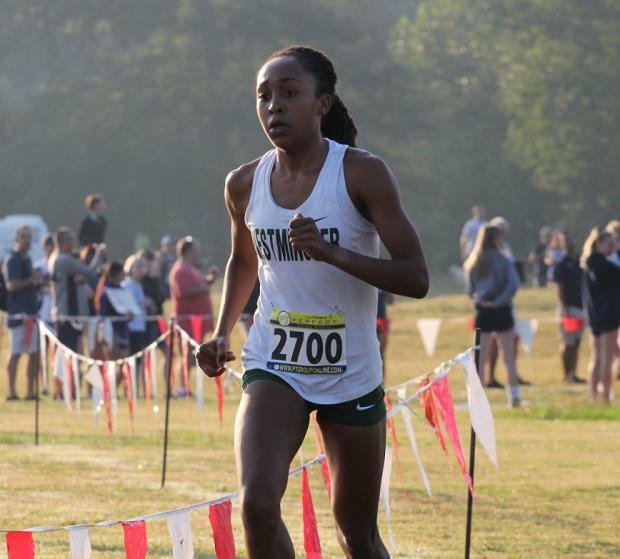 Sr Naima Turbes of Westminster is one of the top female harriers in Georgia this season, and she continued her winning ways by dominating the field, running away in 17:48 leading the Lady Cats' to 2nd. 6A #1 Cambridge fought to the wire taking the Championship team title by 1 points. Ashley Sechrest's 3rd place Overall finish at 18:41 led the Lady Bears hunt. McKenna Croft of Douglas County was overall runnerup at 18:32, Erin Fegans of Landmark 4th in 18:52 and Haley Rose of Decatur 5th at 18:56. 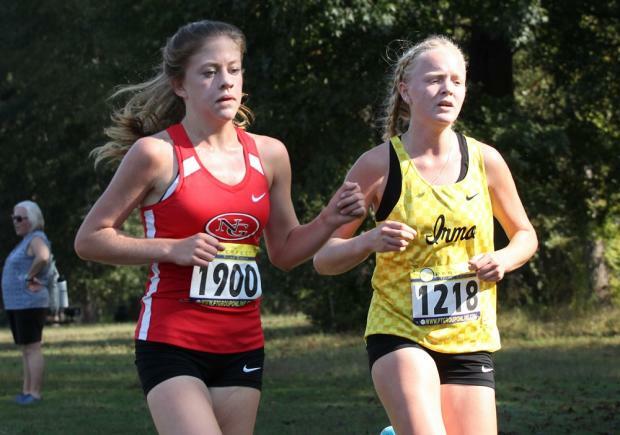 Makenna Kulzer of North Gwinnett and Katy Hall (Irmo SC) are seen here dueling in the 5A-7A race. 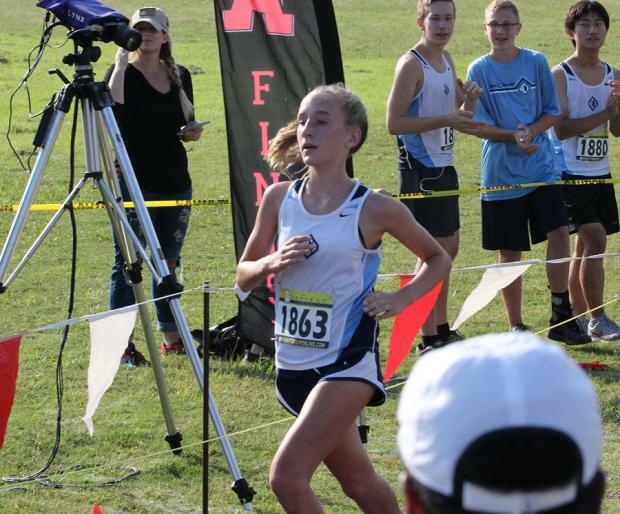 Hall ended up taking the win in 20:27 while Kulzer held off a late challenge from frosh Susanna Rogers of Seuoyah, claiming runnerup honors in 20:32 Irmo SC won the team honors, Norcross 2nd and North Gwinnett 3rd.